It's the first Saturday in March so it's time for Museum Night Fever. 27 of Brussels' museums will be shaking things up with exhibitions, performances, films, installations, live music, DJs, dancing, out-of-the-ordinary guided tours and thrilling activities. Afterparty organised by FTRSND at Zodiac. Free shuttle buses. The American Theatre Company presents Steel Magnolias by Robert Harling - a hilarious and poignant play inviting us into the gossipy small-town world of six women in the American South. Truvy's beauty salon in Chinquapin, Louisiana is where "anyone who’s anybody gets their hair done". Helped by her eager new assistant, Annelle, the outspoken, wise-cracking Truvy offers shampoos and free advice to her best clients and best friends. Compassion, resilience and friendship are the true roots that show. It’s been nearly 10 years since one of Flanders' most famous citizens, Hugo Claus, died. The author of numerous books, plays, poems and essays, Claus was known as much for his sardonic quips and anarchist attitude in the face of the public – and most certainly the press – as for his work. He had a celebrity, for better or worse, that transcended literature. And he died as famously as he lived – choosing euthanasia in the face of dementia. Bozar’s exhibition focuses indeed less on the man’s work than the man; curator Marc Didden chose to create a show that is more for him than about him. It includes clips and texts about Claus, as well as multidisciplinary artworks influenced by him. A great way to get to know one of the most important figures of 20th-century Flanders. 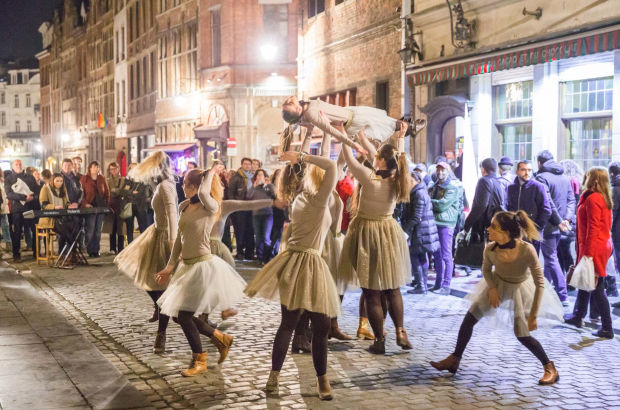 Before it closes for three years for extensive renovation and enlargement, the Musée d’Ixelles is holding Last Call, a three-day bash which consists of a whole slew of activities including a prominent place in this year’s Museum Night Fever festivities. Later this month, on 14 March, the Friends of the Museum are holding a Last Call gala dinner in the museum at which you can eat great food surrounded by great art as you learn all about the new Ixelles Museum that will be created over the next three years. The fifth edition of the Salon du Chocolat is back in Brussels to celebrate chocolate in all its forms. This year’s theme "Chocolate & Cocoa: The Great Adventure" will take you on a journey through all the different activities and sweets to enjoy. From chocolate pairings with beer, to different workshops to learn more about the decadent treat, there is something for the whole family. There will be workshops for the younger chocolate-lovers to learn more about the history, and live demonstrations by the best Belgian chocolatiers, pastry chefs. The one thing not to miss is every night at 17.00 - a fashion show of dresses all made out of chocolate. Last year was an eventful one for feminism, with the Women’s Marches and #MeToo movement. The Festival. WoWmen! is a full week highlighting women all over the world, with debates and discussions on the abolition of a duel society, about #WeToo, ecofeminism and intersectionalism. There will also be performances that depict the role of gender and sexual identity on stage. Creativa is a show for all lovers of DIY and creative hobbies. Here, you can find more than 200 exhibitors with new trends in hobbies from sewing to scrapbooking and more. Workshops include embroidery, painting, framing, floral art and jewellery. There will also be workshops for children. On Friday and Saturday you can catch "one of the wildest things you’ll see at the theatre this year" according to the New York Times. 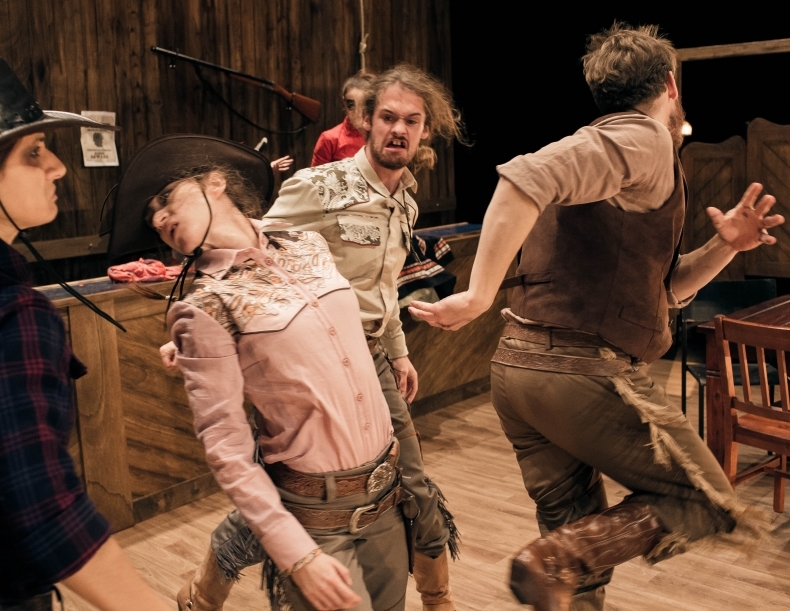 Nature Theatre of Oklahoma’s Pursuit of Happiness (pictured below) is having its Belgian premiere at Kaaitheater - it’s a mix of dance and theatre which is "a bizarre, painful and hilarious horror comedy". During March it's Eyes Wild Open at Botanique, a display of the photographs of 30 international photographers from different generations whose work is often intuitive, brutal and transgressive such as Robert Frank or William Klein. Collectible claims to be a unique presentation of the best of 21st-century design. The Vandenborght building is certainly a great setting for it. The Offscreen festival with its offbeat, independent, cult, unscreened and unconventional films across many genres is screening at Nova, Cinematek, RITCS and Bozar. With an updated Rosie the Riveter as symbol and with the slogan Ladies First, the City of Brussels is celebrating Women’s Rights Week from 5-11 March. The theme this year is Multiple Discriminations. Women from Frida Kahlo to Rosa Parks have suffered many layers of discrimination which accumulate and combine such as gender, race, origin and economic position. This theme will be explored through exhibitions, debates, lectures and screenings. What exactly is amber? Stone or resin? Why has it fascinated humans for so long and made fortunes for individuals and countries? Get all the answers at the City of Gdansk’s didactic exhibition Baltic Amber Expo at Tour & Taxis. Jewellers from Gdansk and Brussels will be showing their different interpretations of the substance. The City of Brussels is offering 14 free two-hour guided tours to discover the biodiversity of Brussels’ open spaces. Included are tours that will unveil the workings of the Maximilian Park Farm and its outreach programs and the Parckfarm where locals can grow vegetable gardens and bake artisanal breads. There’s also a tour that will allow the observation of bat colonies.